For the USA, the Schwinn bicycle company's historical dynasty is very important. Many interesting bicycles were made by Schwinn but the most fascinating and now collectible are the Paramount models. From their introduction in the 1930s, the Paramount models were the dominant racing lightweight in America for 50 years. many movie stars riding Schwinn bicycles! to a 5 speed and then resurfaced in Indiana. Restored by Jeff Groman. "Read what John (Pop) Brennan, the greatest authority in the U. S. on Racing bicycles, says about Schwinn-Built Light-weight Bicycles. 'I have been the official mechanic at 6-Day Bike Races for over 25 years and have serviced every make of racing bicycle used. 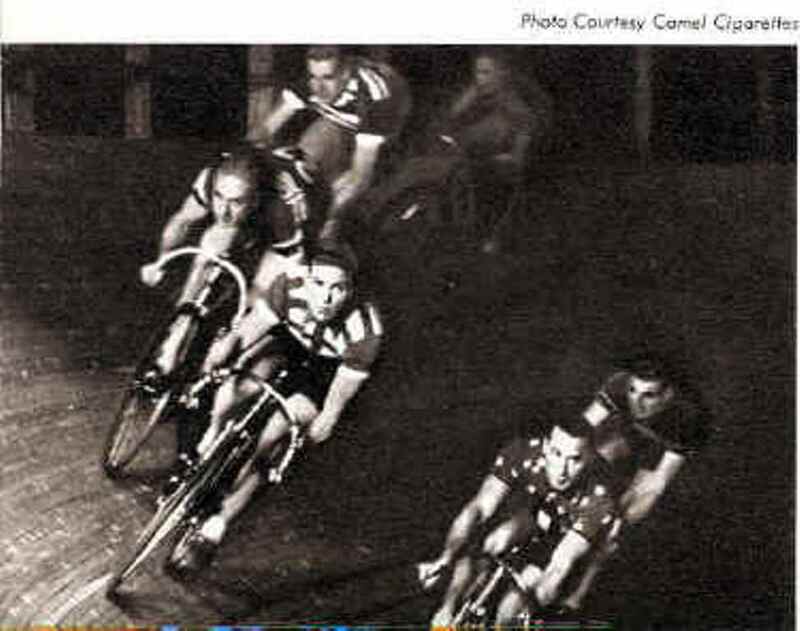 'This past season, we had 18 to 20 Schwinn Paramount Racers on the track.What the boys call their No. 1 bikes have gone approximately 10,000 miles each or a total of over 90,000 miles in the 13 races, and I have yet to replace a worn or detective part. Not a single frame broke, and I honestly believe the strength of these frames saved the boys from serious injury many times, because we had an unusual number of bad spills during the season. 'I recommend Schwinn-Built bicycles not only to the racing men but to every cyclist who wants a lightweight, light running, substantial bicycle with correct lines and the best equipment.' "
An amazingly well preserved 1973 Paramount frame. Built using frames and frame components (Nervex lugs and Reynolds 531 tubing) that were remaining when Schwinn stopped Paramount production in Chicago (due to quality issues) in 1979. Constructed by Don Mainland a Schwinn sub-contractor in Racine, Wisconsin. Don and partner Roger Nelson had a machine shop that built about 40% of the Paramount frames during the '70s bike boom. Many of the full chrome Paramounts were built by Mainland; their brazing was better (less visible after chroming) than those that were done in Chicago.